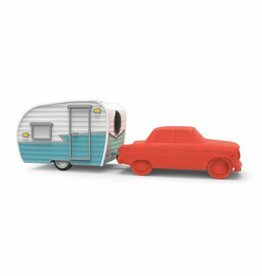 Park HAPPY CAMPER on your desk, and you™ll be ready for any writing adventure. 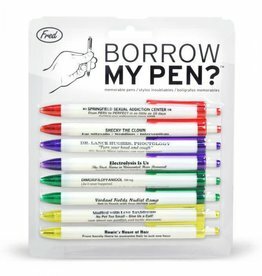 You know those pens that end up in your pocket or purse promoting Joe's Garage or Nancy's House of Insurance? 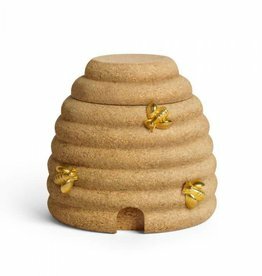 BUSY BEES - an inspired combination of a natural cork hive and 6 golden bee push pins. Got cream? 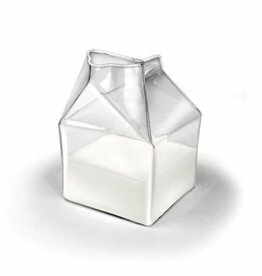 Half Pint is an artfully blown and molded glass creamer that captures the comforting familiarity of a mini milk carton.